Get hot coffee fast without the having to brew an entire pot. 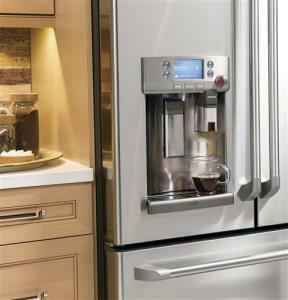 The Keurig® Brewing System attaches to the hot water dispenser on the refrigerator door. Just put in your K-Cup® of choice and enjoy. No need to microwave or boil water on the stove. Choose from 4 different preprogrammed water temperatures that are perfect for soup, tea and oatmeal. You also have the ability to program your own temperature. Whether you need 3/4 cup or 10oz just select the amount on the Precise Fill setting and the refrigerator will dispense the exact amount. Get the most out of your fresh foods by controlling the optimal temperature. Choose from deli, meat or beverage temerature that extends the life of your food and keeps it as fresh as possible. 3 different LED lights correspond to each temperature setting. Extra tall water dispenser provides the possibility to fill large glasses and pitchers. The tray also slightly extends for larger containers. Have hot water ready for you when you want it. Just schedule hot water through the GE Kitchen app. 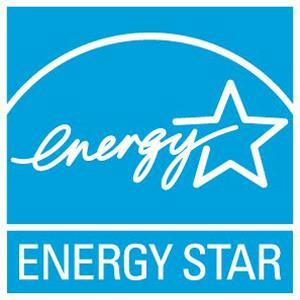 The GE Cafe French Door Refrigerators GE Cafe´™ Series ENERGY STAR® 27.8 Cu. Ft. French-Door Refrigerator with Keurig® K-Cup® Brewing System by GE Appliances at Jordan's Home Furnishings in the New Minas, Halifax, and Canning, Nova Scotia area. Product availability may vary. Contact us for the most current availability on this product. Capacity: Refrigerator 18.5 Cu. Ft. 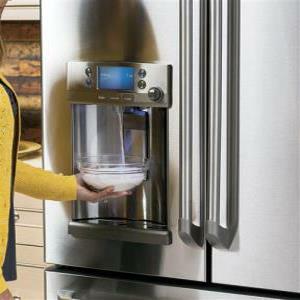 Depth with Door at 90° 44.75"
GE's Cafe Refrigerators feature new technology that brings a cafe feeling directly to your kitchen. 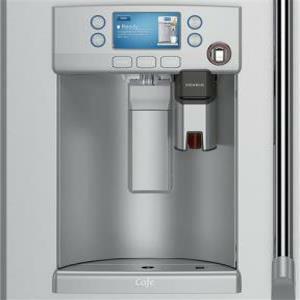 Features like Keurig® K-Cup® brewing system and hot water dispensers allow you to create hot drinks at home with ease. The refrigerators also contain GE's latest refrigeration technology like TwinChill Evaporators which keep your fresh and frozen foods in their best possible condition. The GE Cafe French Door Refrigerators collection is a great option if you are looking for Appliances in the New Minas, Halifax, and Canning, Nova Scotia area. Browse other items in the GE Cafe French Door Refrigerators collection from Jordan's Home Furnishings in the New Minas, Halifax, and Canning, Nova Scotia area.